Originally written by Morgan Remmers and posted on QSRMagazine.com here. By using tools widely available on the Web, operators can better manage their online reputation without exhausting themselves. Attempting to manage what’s being said about your restaurant in this ever-growing world of online review sites might seem like a job better suited for your clone. But alas, technology hasn’t caught up to make such dreams come true. If you’re working several hours running your restaurant by day and spending several more hours managing your online reputation by night, you will run yourself ragged. Being able to balance both worlds might seem near impossible, but it really boils down to one thing: learn how to work smarter, not harder. To free up more of your day, consider using these five tools and strategies to streamline managing your online reputation. 1. Dedicate one hour a day to your online reputation. The first step in cutting back on computer time is to set up a daily calendar reminder and commit to spending only one hour per day responding to reviews, tweets, and comments. Instead of checking throughout the day, focus your energy during your scheduled hour. Once the hour is over, don’t check for new reviews again until the next day during your dedicated reputation management time. 2. Set up e-mail notifications. Rather than manually refreshing your restaurant’s business page for new activity in fear of missing something that has been posted, save yourself the headache and set up e-mail notifications. This way, you’ll be notified in real-time when new reviews have been written, friend requests have come in, tweets have mentioned you, etc. You should also opt in for each sites’ weekly newsletter to stay on top of product announcements, business best practices, and sometimes (like on Yelp) a summary of your business’s metrics for the past week (including calls, check-ins, website clicks, etc.). On Yelp, you can change your e-mail preferences in your Business Account under the Account Information section. 3. Take advantage of free tools. Build out your “virtual storefront” to the best of your abilities (without spending a dime), with the free tools available on the sites your customers pay the most attention to. Start by copy-and-pasting pre-existing information from your website or marketing materials, like the business description on your “About” page, onto your business listing on the various sites you’re most focused on. Business Information. This section allows you to add your business’s website, hours, specialties, and other basic information, as well as a 3,000-character description. Photos. No matter what kind of business you own, adding photos is highly recommended. In fact, people searching on Yelp stay on a business page with photos two-and-a-half times longer than one without. Photos of dishes, meeting rooms, and storefronts work well. Deals & Gift Certificates. Setting up a Yelp Deal or Gift Certificate are great ways to entice potential customers to make a buying decision while on your Yelp page. Not sure what to offer? Do a quick search on Yelp and filter by who’s offering a Yelp Deal in your category to get an idea of a competitive offer. 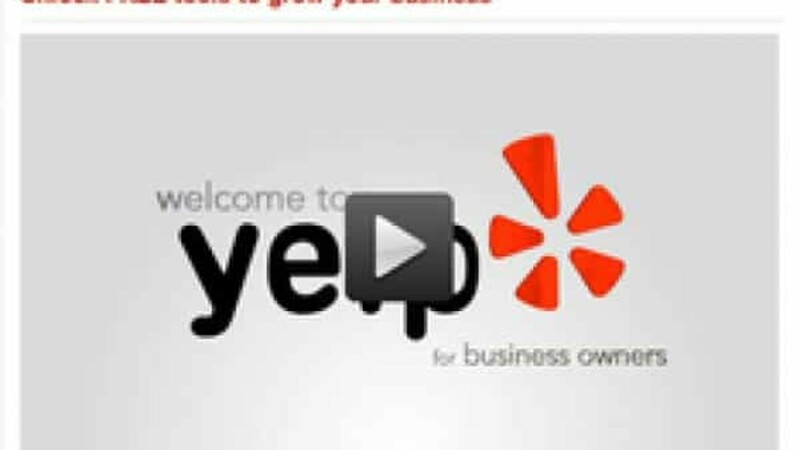 It’s free to set up a Yelp Deal or Gift Certificate, though there is a revenue share, should it lead to a sale. 4. Monitor your traffic. Most online review and social media sites provide businesses with information about the traffic they’re getting and how consumers are engaging with their business page. Once a month, it’s a good idea to review how your business’s profile is performing. Take a look at the number of user views you’ve received, clicks to your website, and so forth and fill in any gaps to increase the likelihood of converting those viewing your business page into an actual customer. 5. Market your business the smart way. Want to get the word out about where your customers can find you online? Easy. Add logos of the sites where your restaurant has a strong online presence on your business cards, in your e-mail auto-signature, and in your business’s storefront. Restaurateurs that are diligent in implementing the strategies outlined above through the free tools available to them will reap the benefits. Not only will they have the best insight into where they can improve based on the feedback they receive, they’ll also be viewed by their customers as a business that cares about their clients’ feedback.